a versatile art and performance form - in live time. Improvisation gets the brain cells moving by the combined stimulation of the intellect, emotions and technique. An intense balancing act, in which, the form itself constitutes a bold and direct approach. Arbitrary narratives and the ambience thus interchange, in much the same way as life itself does. 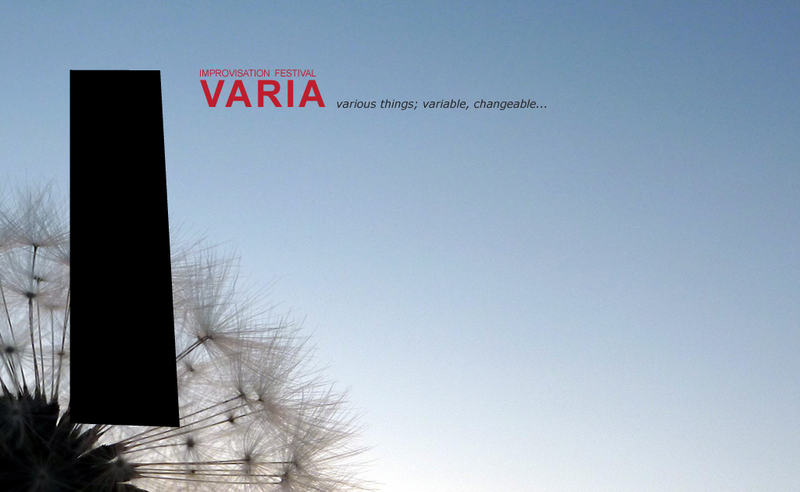 VARIA has enabled performers of diverse artistic backgrounds, age and ethnicity to access a broad audience. Intense artistic and individual interaction is furthermore supported by a creative license, beyond expectation. Previous festivals have generated interest, cultivating a new breeding ground for ideas within the dramatic arts and collaborations between various media and much, much more. Audience indication and student and participant reflection reveal VARIA to be a place where innovation is given a great deal of invaluable space. As a result, VARIA has been able to create a forum for further, as of yet, unproven collaborations, aimed for the dramatic arts and arts of other focus.